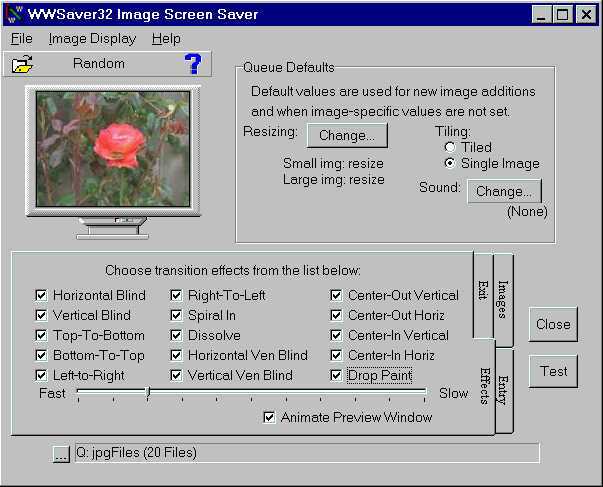 This is a view of the WWSaver32 configuration dialog with the screen saver effects tab selected. The small preview screen has an actual instance of the screen saver running which will immediately reflect any configuration changes. The "Queue Defaults" area will display unless the Images tab is selected and one or more images are selected in the queue.